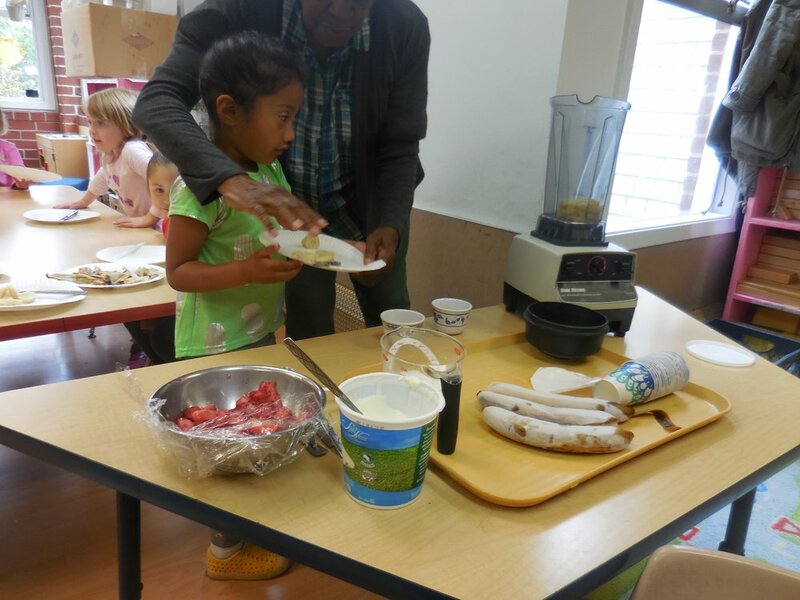 This week, the C-level children practiced their culinary skills by making smoothies. They cut up strawberries and bananas while Ms. Mae and Ms. Dorris added the fruit, yogurt, honey and vanilla into a blender. The students were able to enjoy the healthy snack they had made.